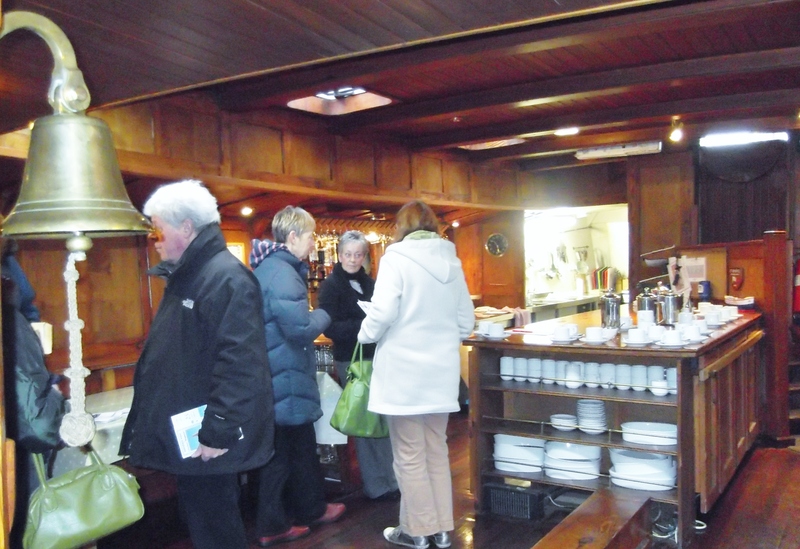 We visited The Barge Tearooms at Maldon on Sunday as part of our family Christmas. We hadn’t realized a charity rowing race would be taking place on the river in aid of RNLI, which meant there were large crowds both on Hythe Quay and all along the Promenade. It was a pretty miserable windy, wet day, and we were glad to get on board sb Hydrogen and into the tearooms. There were six of us; four scurried below into the warm, but two hardy souls stayed on deck. The cream tea was excellent, and so, apparently, was the cake. They even provide blankets and umbrellas for those who stay outside! Well worth a visit. still without leeboards, but two freshly painted specimens were lying nearby in the yard so could be destined for her. And sb Dawn was also there, wrapped up in her winter cover. While we were there sb Kitty came back from a sausage-and-mash cruise and passed us on her way to Fullbridge where she is based at present. 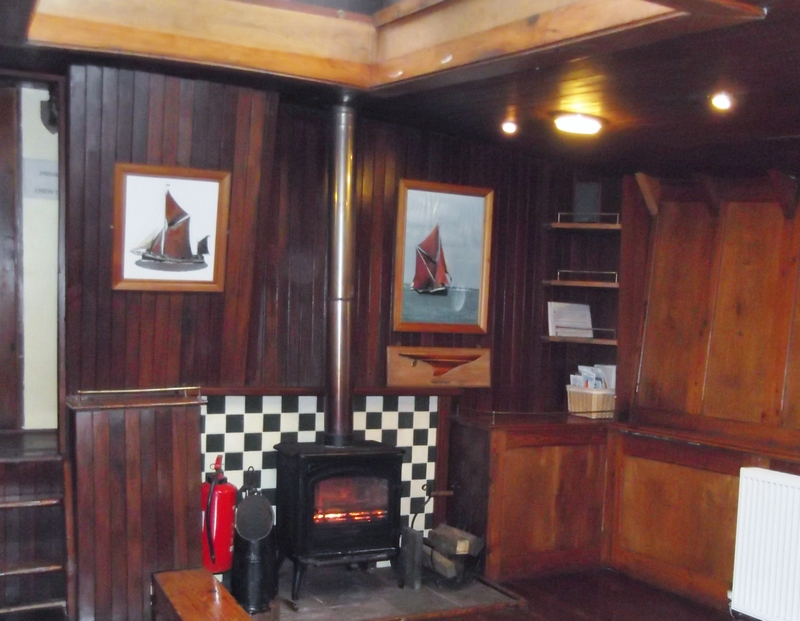 On a bitterly cold day at Maldon yesterday, it was nice and cosy by the fire on board Thistle. And here’s Dilys Renouf telling group travel visitors from the Essex Tourism and Leisure Show about the barge and the 2013 sailing programme available from Topsail Charters. Today’s message from Topsail Charters tells us that thick fog is hampering barges returning to Maldon. Thistle is in a “pea souper” off Harwich, and Reminder is out at Brightlingsea.